December 14 was an important day in the sustainable food service packaging industry: different environmentally-minded packaging and composting organizations orchestrated a collaborative day together to improve the sustainability of foodservice packaging. Hosted by the National Restaurant Association in their Washington, DC offices, the successful meeting mapped out different synergies, challenges, and points for collaborative action to take in the near future. During the morning session each organization outlined their current and planned project status, discussing any industry concerns or points of focus. In the afternoon, the group strategized ways to efficiently collaborate to overcome market barriers, improve the purity of the different foodservice waste streams and roll out of pilot programs. One of the themes emerging from the lively discussions during the afternoon strategy session was the importance of consistency and a common voice from the sustainable packaging industry. Consumers, both Corporate and individual, are often confused by conflicting messages, local terminology, recycling bins, product labeling, certifications to name a few topics. It would also be helpful to map the inventory of the various types of resources and services available. Scott Seydel, Ei Chair; Global Green Chair, videotaped the entire meeting and a future blog post will announce when and where the videos are uploaded. 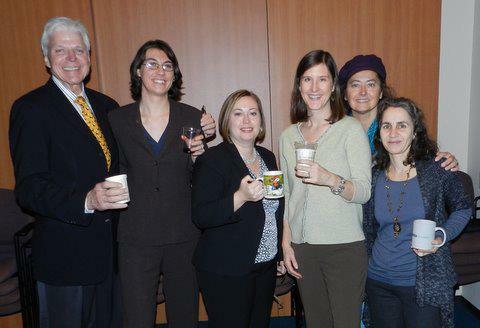 The Ei FB album, 12-13-11 Sustainable Pkging Mtg @ NRA Offices, gives a pictorial recap of the day. The nine organizations listed above will continue a dialogue via scheduled calls and in-person meetings. In addition, a number of individuals participate in the SFCI Pilot Sustainable Packaging Committee conference calls, and the end of each committee call will include allocated time for any updates and related information to share with the group. A big THANK YOU to the NRA for hosting the important meeting. Jeffrey Clark, NRA Contractor, did an excellent job with the meeting logistics and facilitating the strategy session. Stay tuned for future blog posts documenting the action items launched at the monumental meeting. This fall the SC Hospitality Association orchestrated a second Atlanta Zero Waste Zones visit to explore the practicalities of bringing the program to their state. The National Restaurant Association showed true ZWZ partnership colors with Chris Moyer, NRA ConServe Program Director, and Elissa Elan, Sr Editor, Sustainability, joining the tour. Elissa published the NRA News Blog post, S.C. explores zero waste program, with a fantastic overview of the trip. By joining the tour, Elissa got a hands-on understanding of the SC commitment to embarking on the zero waste path. "The composting facility was most impressive. The [concept] is so simple it's stupid it's not being done [in other areas]. Though there is a science to the mixture and the composting, it's really about putting the right thing in the right places. The earth takes care of the rest. The amazing thing was seeing the product come in raw, mixed and then witnessing the final product." The ZWZ Blog post, An Encore ZWZ Performance, details the second SC ZWZ tour and the Ei FB albums, DAY 1 - SC Hospitality Group 2nd ATL ZWZ Tour and Day 2- SC Hospitality Group 2nd ATL ZWZ Tour, give a detailed pictorial recap of the tour. Thank you Elissa for making the Atlanta excursion. It is important to document the ZWZ program expansion from many perception lenses. Thank you Elissa for documenting the path from your perspective - your post is valuable to preserving HOW the zero waste infrastructure is built. 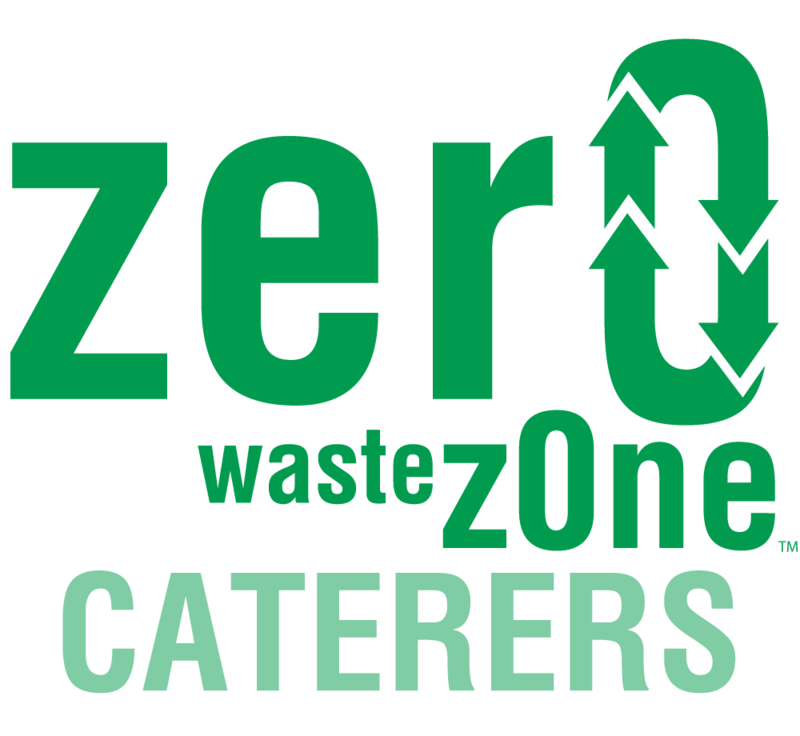 Atlanta's first Zero Waste Zones caterer Affairs to Remember Caterers topped 200 tons of material diverted from landfills and into recycling programs, including food residuals going to a composting facility. ATR's achievable goal is to reach the 500 ton recycling benchmark by mid 2015. Kudos to ATR for surpassing a major zero waste milestone! As a Charter ZWZ Participant, ATR GM, Patrick Cuccaro, and Director of Sustainability, Sandy Rothstein, worked through the challenges of making back-of-the-house organics separation for composting collection work with ease into their daily operations. With a phased-in process, ATR developed organics-separation practices for off-premise events. See the ZWZ Blog post, Common ZWZ Refrain: It's EASY, for quotes from Patrick and other ZWZ Champions on the ease of introducing zero waste initiatives into operations. Arriving at the point of ease was the result of diligent efforts by pioneers like ATR. The ATR press release, Affairs to Remember Caterers Diverts 200 Tons from Landfills; Legacy Green Program Sets Bar for Atlanta Caterers, includes impressive details of ATR's achievement. Several videos accompany the press release to give the visual impact of their standard operating practices. Extending beyond their commitment to meet ZWZ Criteria, the ATR Legacy Green program takes a leadership role in supporting local and sustainable agriculture. In addition to forging alliances with local farmers, Executive Chef Ahmad Nourzad nurtures the on-premise chef's garden and uses its bounty in his excellent cuisine. The ZWZ Blog post, Chef Gardens ~ A Tasty Way to Close the Loop, highlights ATR's garden and Chef Ahmad. "The Zero Waste Zone mega-movement was a catalyst, as well as an avenue, for Affairs to Remember to become greener than we'd ever been. We'd already been sourcing local organic foods whenever possible - even before 'farm-to-party' sourcing became wildly popular. Adding companywide composting initiatives and beefing up our recycling efforts has also created a strong sense of pride throughout our organization. It's gratifying to see our staff enthusiastically enforce our composting standards. They know that they're making a difference in our local environment and setting the bar for others to follow." With their Legacy Program, ATR expands their sustainability commitment into the social responsibility realm. Legacy Giving was founded in 2007 as an avenue for ATR to nurture a community that supported ATR's growth into one of Atlanta's prominent luxury caterers. Visit the site for an impressive list of organizations benefiting from ATR's generosity grounded in gratitude. Leadership is inherent in ATR culture. 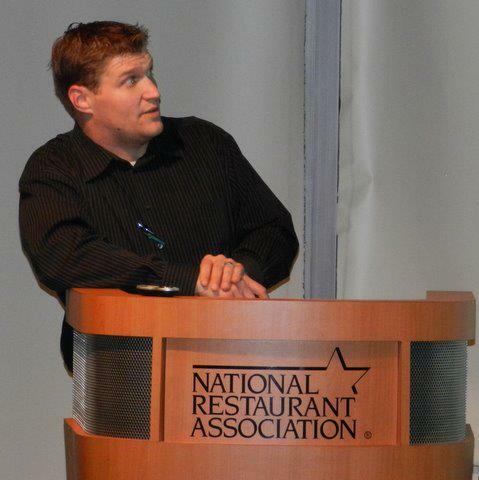 Last week Patrick was elected to Chair the Georgia Restaurant Association in 2012 after serving as Vice-Chair in 2011. With over 25 years in the hospitality industry, Patrick brings expertise, passion and talent to his leadership role. The ZWZ Blog post, ZWZ Champion Leads GA's Restaurant Industry, gives the details of the well-earned honor. For additional perspectives on Patrick's talent to transfer personal convictions into solid business practices, see the ZWZ Blog post, ZWZ: A Powerful Marketing Tool. The post is a profile of Patrick's successes along with a link to a national feature on the National Restaurant Association News Blog, Aiming for zero waste brings increased sales to caterer. Milestones are abundant at Affairs to Remember Caterers. ATR laid a phenomenal foundation and 2012 is destined for amazing achievements in the many shades of green. During the December Elemental Impact Washington D.C. trip, the Sustainable Food Court Initiative leadership spent a morning at team member HMSHost's corporate offices. Along with the general updates, the meeting was an excellent opportunity to strategize with Linda Dunn, VP Supply Chain & Analysis, and Joshua Barone, Sr Manager, Business Analysis, on future projects and directions. Anne Duffy, Media Director, joined the meeting to explore how Ei may be a strong partner in sharing HMSHost's leadership role in foodservice industry sustainability. First on the agenda was a big THANK YOU to HMSHost for their amazing sustainability commitment. The SFCI made tremendous strides in 2011, mainly due to HMSHost's willingness to recreate operating practices with an environmental focus. It takes pioneers like HMSHost to work out the challenges|barriers so fellow operators may follow suit. The ZWZ Blog post, SFCI in ACTION Mode, gives a SFCI update. The Sustainability = Sharing & HMSHost presents @ NRA Board Meeting posts are an excellent recap of HMSHost's commitment. In early 2012 the intent is to announce a second SFCI Pilot at Concord Mills in Charlotte, NC. The mall is owned by SFCI team member Simon Property Group and HMSHost has the concessions contract. In October SFCI Co-Chair Doug Kunnemann and Holly Elmore, Ei Founder, traveled to Charlotte and met with the Concord Mills mall and concessions managers. While in Charlotte, Doug & Holly also visited the Charlotte Airport, where HMSHost has the concessions contract, to learn about their current and planned recycling practices. The ZWZ Blog post, Fertile Charlotte Grounds, gives an overview of the trip. A January Charlotte trip is scheduled to launch the pilot with a plastic film recycling project along with the initial steps to start back-of-the-house organics collection for composting. In 2011 Holly visited the Tampa Airport, another airport with HMSHost-operated concessions, twice to understand how we may work together on evolving their already amazing sustainable practices. With one of the Atlanta ZWZ icons relocated in Tampa and HMSHost's support, there is strong potential for a ZWZ-Tampa. The ZWZ Blog post, An Atlanta Icon Resurfaces in Tampa, for an overview of the first Tampa visit. For 2012 the SFCI | ZWZ HMSHost focus will be in the Atlanta, Charlotte and Tampa markets. With the strong on-the-ground relationships, the SFCI team looks forward to moving beyond zero waste initiative focus and into toxic-free environments. It was a fantastic visit with Linda, Joshua and Anne - stay tuned for exciting 2012 updates as the fun is just beginning! 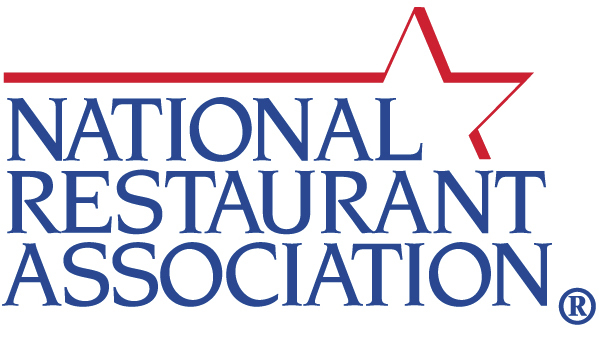 Collaboration is key to driving sustainability down successful paths - the National Restaurant Association takes a leadership role in creating common ground for organizations to work together. In December Elemental Impact orchestrated and the NRA hosted a series of meetings with complementary organizations, trade associations, non-profits and foodservice operators, to ground synergies into working relationships. First on the agenda was an introductory meeting with the U.S.Composting Council. Wayne King, USCC Past President, and Michael Virga, USCC Executive Director, met at the NRA offices with Scott DeFife, NRA Sr EVP Govt & Public Affairs, Chris Moyer, NRA ConServe Program Director, and Jeff Clark, NRA Contractor. 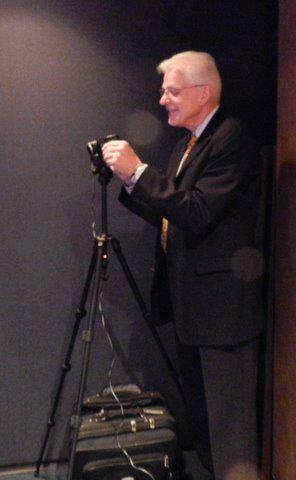 Holly Elmore, Ei Founder, served as the facilitator and photographer. The Ei FB photo album, 12-12-11 NRA-USCC-Ei Mtg in D.C., gives a short pictorial recap. The meeting was an introductory session with baseline sharing of each organizations' history and new directions in the formation process. As Ei's partner in the Zero Waste Zones, the NRA is focused on operational practicalities of diverting food residuals and other organics from landfills. Limited destination sites is a key challenge for separated organics collection to become a national standard operating practice. The NRA is the trade association for the largest commercial generators of post-consumer food residuals; the EPA estimates 97.5% of the food residuals are landfill bound. The USCC is the trade association for composting and other permitted alternatives to landfills. Working in unison is natural and necessary for the infrastructure and support systems to develop so the foodservice industry may embrace zero waste practices. At the USCC Annual Conference January 17 - 20 in Austin, TX, the POWER - Perishable Organics Waste to Energy - session will highlight the NRA's role in promoting post-consumer food residual recycling. The ZWZ Blog post, Get EmPOWERed at the USCC Conference, gives the session's full description. Safety and education are another common ground for the NRA & USCC. The ZWZ Blog post, Safety & Education - A Necessary Marriage, showcases each organizations' primary safety and education focus. Joint platforms will naturally flow as the NRA & USCC work together. Stay tuned for exciting developments in the budding USCC | NRA relationship. Exciting, important seeds were planted in already fertile ground! Patrick Cuccaro, General Manager at Affairs to Remember, was elected to Chair the Georgia Restaurant Association in 2012 after serving as Vice-Chair in 2011. With over 25 years in the hospitality industry, Patrick brings expertise, passion and talent to his leadership role. 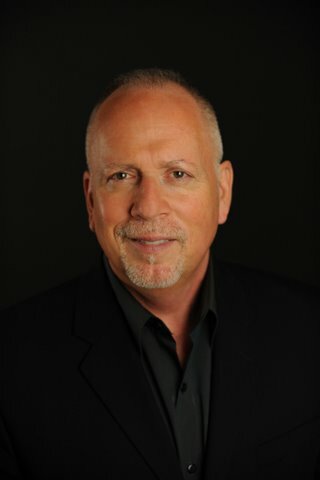 "The Georgia Restaurant Association, with more than 3,000 restaurant members representing nearly 100,000 employees, has elected a Chair who is both an independent operator and an off-premise caterer. I'm humbled by the trust that these respected restaurateurs from across the state have placed in my leadership," Patrick said. The trust is well-founded and deserved. When the Zero Waste Zones were ready to expand beyond the original Downtown Zone, Patrick stepped forward to serve as the ZWZ-Caterers Champion. As an early ZWZ Participant, Patrick was instrumental in developing zero waste best practices for foodservice operators. By its nature off-premises catering includes the challenges of transportation and service in a separate location from food prep. With ATR owner support, Patrick and his team devoted the resources and time necessary to determine the most efficient|effective procedures to source-separate materials for recycling, both in the commissary kitchen and at off-site events. These materials are common recyclables (paper, metals, plastic & glass) and organics (food). Rewards for the hard work are abundant. Under Patrick's zero waste leadership, ATR benefits from a stronger bottom line and a stellar reputation as a model environmental steward. Patrick receives national recognition as a powerful leader who has the talent to transfer personal convictions into solid business practices. 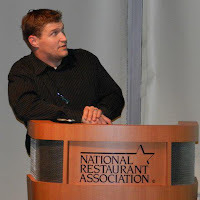 See the ZWZ Blog post, ZWZ: A Powerful Marketing Tool, for a profile of Patrick's successes along with a link to a national feature on the National Restaurant Association News Blog, Aiming for zero waste brings increased sales to caterer. For more information on Patrick and his role as the GRA Chair, read the ATR Press Release. Congratulations Patrick! The ZWZ Team looks forward to your continued leadership role and are here to support you as the incoming GRA Chair. A great pair of jeans becomes one of the family and a source of comfort, fun and fashion statement. After a certain number of years, there comes a time when the tears start and only a limited number of washer machine trips are left. Once the holes and tears go beyond a point, the jeans are no longer fit for public wear and considered "spent". These jewels are not in condition for donation - so what is their destination? Too many times, a landfill was the option for the beloved friend. ElaBela Skirts comes to rescue! Elizabeth Dobbs takes the ragged jeans and makes sassy, one-of-a-kind skirts for yet another life. Not interested in a skirt? No problem, donate your old jeans to ElaBela so someone else may benefit from your old jeans. Oops, the jeans are in fine shape - they must have shrunk in the dryer as snug is too nice a word. Once again, ElaBela Skirts to the rescue. When the seams are torn and resown to make the skirt, the jeans are expanded back to a comfortable, sassy fit as a skirt. Ahhh, this is an important value! Walk your talk with the reduce, reuse, recycle commitment - donate any still wearable cloths to shelters for those less fortunate and send those favorite jeans to ElaBela for their next life, with you or someone else. Get Ready, Set, ACTION - the Elemental Impact | Zero Waste Zones film crew made its debut at the Atlanta Airport this week! On December 05 & 06 Ei Chair Scott Seydel and Founder Holly Elmore joined forces for the first time as a film crew at the Sustainable Food Court Initiative Atlanta Airport Pilot. In between airport shoots, the Ei crew toured the Strategic Materials glass processing plant in College Park with cameras in hand. Scott is the film talent and Holly uses her new camera for still shots - a powerful team for Ei communication and educational tools. In town for a conference, Scott DeFife, National Restaurant Association Sr. EVP of Government & Public Affairs, joined Scott & Holly at the airport before departing Atlanta. Snippets on several topics were filmed for future videos. Scott D. was fun and patient as the new duo found their artistic rhythm. When production is complete, the ZWZ & IMPACT Blogs will cover the films, supported by stills, along with copy on the important work accomplished by the ZWZ, SFCI and other Ei projects. Earlier this fall, Scott (Seydel) posted one of his first video productions of Global Green's Coalition for Resource Recovery's tour of the Peninsula Composting Delaware facility. The ZWZ Blog post, Safety & Education - A Necessary Marriage, features the tour along with Scott's video, Aerobic Composting. Check out Holly's budding photography skills on the Ei FB Albums - most of the albums tell a story of a tour or other event. Yippee - Holly had her first photograph published in a national publication, Nation's Restaurant News. Darn it, they did not give photo credit. 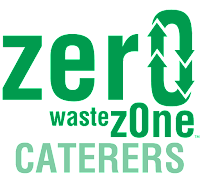 The ZWZ National Media page has a downloadable version of the October 24 Atlanta operators reduce waste. The creative juices are flowing with ideas for future projects - stay tuned!